Gary Rosenblatt is correct that now is the time to support Jewish unity, as he wrote in an editorial published in The Jewish Week. But the rest of his screed directed against JCCWatch.org is just more disinformation. Gary Rosenblatt defends those groups that wreak havoc on Jewish unity with their false charges against Israel, and fellow Jews. Has he denounced them for damaging Jewish unity — or only the critics who call attention to their reckless lies against the Jewish state? The New Israel Fund, that Gary Rosenblatt calls “progressive,” directly funds Breaking the Silence, a non-profit that published anonymous accusations against Israel, accusing young soldiers from the Israel Defense Forces of war crimes as they defended our beloved Israel against Hamas’s missiles and terror tunnels. Today, the Israeli government lodged a formal complaint against the government of Switzerland, which, along with Norway, stands with the New Israel Fund to finance Breaking the Silence. “We cannot accept the actions of an organization whose aim is to smear soldiers in the Israeli army in the international arena and to cause serious harm to Israel’s image,” an Israeli Foreign Ministry spokesman told AFP. If the Israeli government finds Breaking the Silence to be illegitimate, why should the UJA-Federation provide cover to send the group donations from America? Last year, the United Nations Human Rights Council, which has always been a forum for those who hate Israel, heard from 10 New Israel Fund grantees that argued that Israel should be brought to justice for war crimes. Is that what The Jewish Week wants? In this age of anti-Semitism, why does B’Tselem, which received $192,295 last year from the New Israel Fund, publish a major Op-Ed in The New York Times, the day after the Israel Day Parade, calling Israeli democracy a “charade”? The real “charade,” not mentioned even once in the article written by B’Tselem, “which monitors Israeli actions in the West Bank,” as Gary Rosenblatt writes, is anything about the Palestinian Authority, whose elected president is now in the 10th year of his four-year term. The Jewish Week would have you believe that the UJA-Federation has no control over the Jewish Communal Fund that sent $6 million to the New Israel Fund, which, in turn, financed the chaos wrought by Breaking the Silence and B’Tselem. In fact, they control all of it. UJA-Federation is the only owner of the Jewish Communal Fund. Alisa Doctoroff, the UJA-Federation president, is on the board of the Jewish Communal Fund, and the bylaws spell out precisely their responsibilities to block donor recommendations that go against the Jewish community. Wouldn’t charging Israelis with war crimes and calling the only democracy in the Middle East a “charade” be “adverse to the interests of the Jewish community”? In supporting those interests of the Jewish community, Federations across the country publish Jewish newspapers. Truth be known, the UJA-Federation actually owned The Jewish Week and spun it off under court order as a not-for-profit whose assets, if ever liquidated, would be returned to the UJA-Federation. In addition, UJA-Federation board members also sit on the board of The Jewish Week. Neither of these two conflicts of interest were disclosed by Gary Rosenblatt to his readers when he writes in support of the UJA-Federation, but they should be. Gary Rosenblatt must end this disinformation campaign. 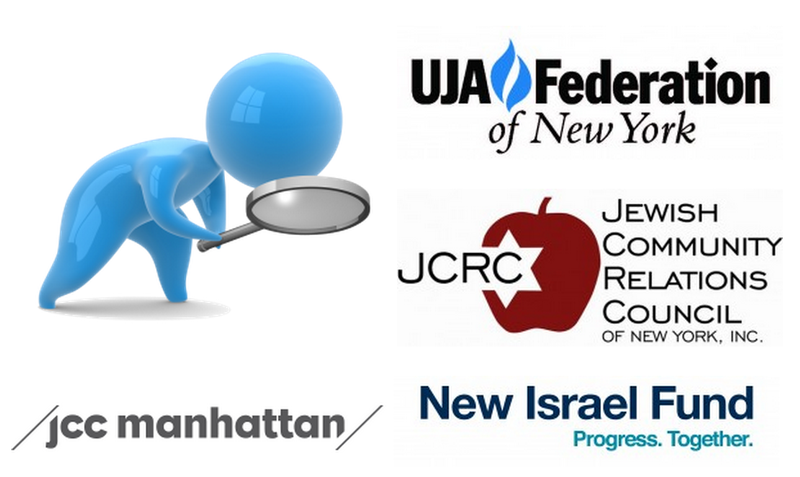 The Jewish Week readers deserve to learn the facts about how the UJA-Federation and its affiliates finance the “progressive” work of the New Israel Fund. Wednesday, June 3 was designated this year as “Jewish Unity Day,” established by the City of Jerusalem and Gesher, an organization that seeks to close the gap among Jews of different denominations. It comes a year after the kidnapping and murder of three teenage boys in Israel, a tragedy that, however briefly, brought the country together and linked Jews of the diaspora with their brothers and sisters in the Jewish state. To mark the occasion, Jewish Unity Prizes were presented to individuals and organizations from Israel and around the world, honored for strengthening communal understanding. It’s an inspiring concept and one we hope will become more widely known. Not surprisingly, JCC Watch, a local grassroots group that seeks to hold “Jewish communal groups accountable,” according to its website, was not among the prize recipients. Far from it. 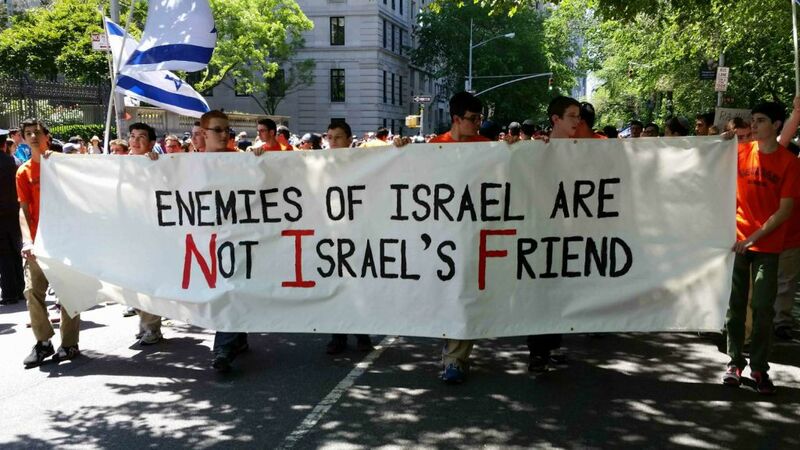 The group has been conducting a campaign against prominent Jewish organizations and individual leaders for allegedly supporting BDS (Boycott, Divestment and Sanctions) against Israel. JCC Watch seemingly sees no distinction between a gift to the progressive New Israel Fund, which advocates for equality among all Israelis, and calling for the end of Israel as a Jewish state. That’s quite a stretch, an irresponsible claim in the spirit of the McCarthy era. It’s based on the notion that UJA-Federation is responsible for the personal donations made through the Jewish Communal Fund (JCF), a donor-advised fund. Operating like charitable funds at Schwab, Fidelity and Vanguard, JCF is made up of more than 1,500 individual funds established by donors. Those donors recommend where their contributions should go and support charitable giving to thousands of organizations. Some of those individual donations go to groups like New Israel Fund or B’Tselem, which monitors Israeli actions in the West Bank. Such groups are viewed by JCC Watch as destructive to Israel. But UJA-Federation, which established JCF, does not provide any grants to the New Israel Fund, and has nothing to do with the JCF grant process, which is up to individual donors. JCF also has its own board and its own 501-c3 status. JCC Watch knows all that but prefers to confuse the public. Not only does it stir up trouble in the spirit of communal disunity and discord, it does harm to the State of Israel we all seek to strengthen, each in our own way. I was stunned to see the grantee list of the UJA in Israel. Not one penny for IsraelGuideDogs, but cash to a fringe group called Breaking the Silence to conduct a smear campaign against the IDF. After years of terror the Israeli left collapsed……..so the American Jews at the UJA show up with a cash infusion, and hand it over to marginal activists in Israel. just the same way the abortionists set out to destroy the Catholic Church in South America. There are so many hospitals and orphanages in Israel that need our help, blind people are placed on waiting lists for service dogs……..
Non-political, authentic charities in Israel that desperately need our help. American Jews, myself included, mistakenly thought that those in need in Israel would get that help through the UJA…. I’m shocked and disappointed to see that UJA uses its once good name to hustle working people out of their charity box money for partisan political purposes in the Land of Israel. Pledge to send the above article to as many fellow Jews as you can!